Build strength and stamina with this 30-minute Hatha class where you will hold 15 different poses for one minute each on both sides. These poses include runners lunge, chair pose, tree pose, high plank, pigeon pose, and more. 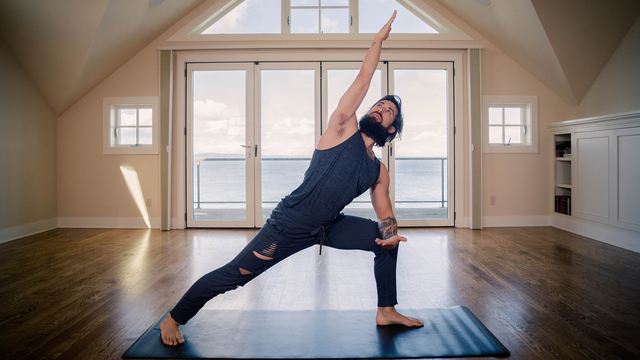 By holding poses for longer periods of time, you get the opportunity to properly align and position your body within each pose, and gain a greater understanding for small adjustments that help you settle into each pose in a way that is best for your body. This is a 10-minute preview of Patrick's "Hold Steady" class.